Imagine, seas and rivers occupied with a population of meandering creatures, charged by sunlight and currents creating both man and wildlife mobile habitats, all cleaning our water bodies through bio-filtration. 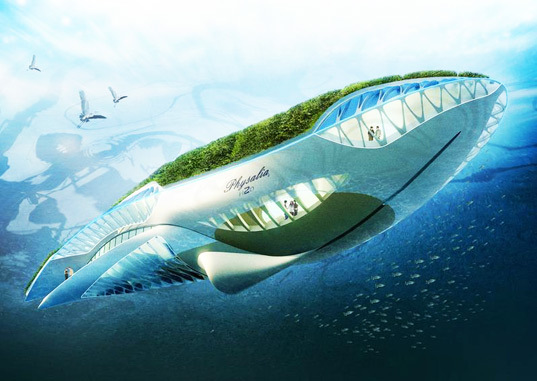 Architect Vincent Callebaut proposes such an idea in the Physalia, a self-sufficient whale-shaped floating ecosystem which cleans water as it travels through bio-filtration. 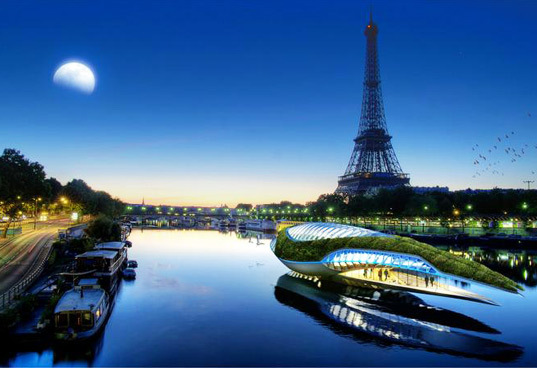 Inspired by the Physalia physalis jellyfish, the design is intended to by powered by photovoltaic panels and hydro-turbines. Instantly several adaptations come to mind. Why not extend these concepts to other water-based transports. Slow-moving cargo ships and oil tanker transports are transformed into giant floating ecosystems, cleaning our water while maintaining their purpose. Giant cruise vessels transform from a system of excess and over-consumption to becoming floating utopian-esque tropical ecologies. 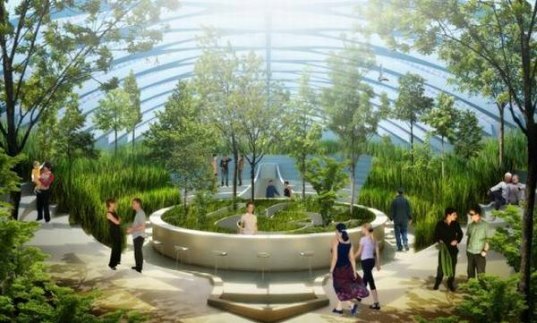 More eco-tourism then Carnival cruise. 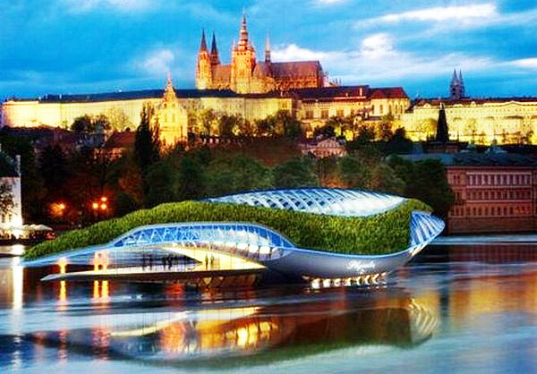 This even could be a prelude to a floating housing concept in response to the impending water level rise. Floating around like algae, our homes and neighborhoods in constant fluctuation, changing demographics and social order/hierarchy, your enemy one day could be your neighbor the next. All of this happening while intensely sucking carbon from the air.